When you select the Work with Communication Routing option from the Web Server Configuration menu, a list of all defined routings to other IBM i servers is displayed. Press F6=Add to create a new routing entry to your Data/Application Server. Go to Step 3. 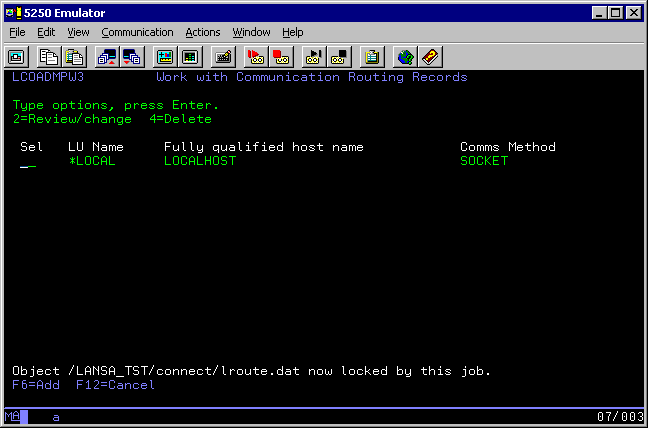 Add Routing Record on IBM i.